Do you need a roofing contractor in Warrenton, GA? Raborns Roofing & Restorations is in your corner! Our contractors are able to provide comprehensive services to numerous roofing systems in the area. 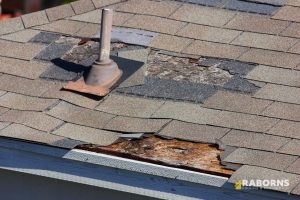 Our experience enables us to deal with any roofing dilemma you may have. We service all roofing types, for homes and businesses. Contact our contractors now at (706) 814-3207 with all of your questions about roof repair and replacement in Warrenton, GA. If you can’t seem to obtain the repair or installation that you’re looking for featured on the lineup above, please contact us at (706) 814-3207. Our roofing experts are here to respond to any roofing inquiries that you might have. Raborns Roofing & Restorations goes above and beyond assuring that you’re obtaining top notch roof repairs and replacements in Warrenton, GA. Also, we want to make the entire process is as worry-free as possible for you. whole process and guarantee to leave the space as spotless as we initially found it.|Once we’ve provided Our customers will receive nothing short of the finest services. We provide roof installations and repairs to commercial and residential building. Your outright satisfaction is what we want to ensure. If you’re not totally content with the final. You can look to the experts at Raborns Roofing & Restorations to deliver superior roofing services and repairs in Warrenton, GA. Please contact us immediately by dialing (706) 814-3207.